Do you wear – leather shoes, leather belt and if you are a woman, are you fond of costly leather vanity bag ? Shell Cordovan is one of the most expensive leather. This leather comes from just a small area of the rear of a horse hide where it is most dense and one hide yields just two such “shells”, just enough for one pair of shoes. The leather derives its name from the city of Cordoba, Spain, where it was first produced. There is a commonly held view that Zimbabwe used to be the breadbasket of Africa, although the specific timeframe in history is usually unclear. This vague narrative gives an impression that Zimbabwe lost its “breadbasket” status during former President Robert Mugabe’s tenure. While Mugabe’s land reform programme seemingly contributed to a decline in Zimbabwe’s agricultural output, there’s limited evidence to suggest that the country was a dominant player in Africa’s food production prior to that period – at least from a staple food production perspective. 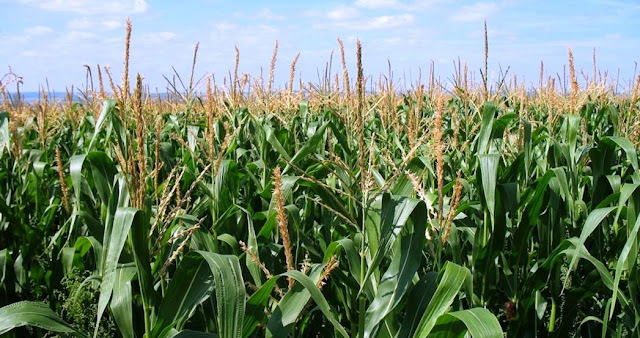 On the contrary, there is news that Zimbabwe is expected to harvest 2.1 million metric tonnes of maize this year after good rains followed successive El Niño-induced droughts. For the first time in many seasons the country will be able to feed itself and not require commercial imports or food aid. But is this the result of good fortune or good policy? Is not known. The Zimbabwean government is convinced it has found the secret to food security after the biggest maize harvest since a controversial land reform programme was launched nearly two decades ago. It’s ignoring the critics who say success was mostly due to the better weather and who worry about the scheme’s gaps and longer-term returns. New President Emmerson Mnangagwa is doubling down on “command agriculture”, a major private sector-backed subsidy programme in which farmers are provided with seeds, fertiliser, fuel, and chemicals – on loan, with repayment made with a portion of the harvest the following season. While agriculture gives happiness, it is not so for wildlife and its elephant population. 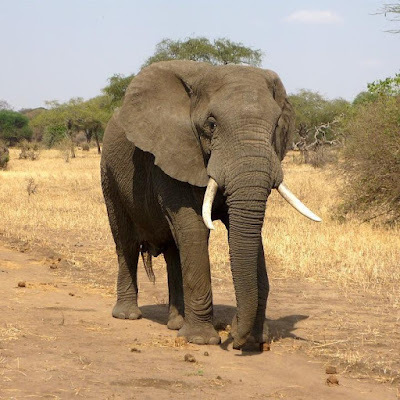 Some 30,000 African elephants are killed by poachers for their ivory each year, and it is cruelly shocking to read that elephant skin leather can be exported and sold around the world legally. A report in National Geographic reads : “If you are looking for the toughest of leathers and the sturdiest of boots, elephant is the hide for you, as nothing compares to the strength of a custom elephant cowboy boot.”So reads the website of the Paul Bond Boot Company, one of the firms that turn the gnarly-patterned hide of Earth’s largest land animals into boots, wallets, belts, suitcases, jackets, golf bags, pool cues, furniture, car and motorcycle seats, gun holsters, and whatever else well-heeled customers may fancy. Better yet, adds Paul Bond, “the tanning options are second to none, with several different textures and colors available.” Another claims “People who work with venomous snakes like it for their boot tops.” The softer ears are reserved for uses where suppleness and smoother grain are preferred. The current legal trade in elephant hide dates back to 1997, when the southern African nations of Zimbabwe, Botswana, and Namibia persuaded the U.N.-sponsored Convention on International Trade in the Endangered Species of Wild Fauna and Flora (CITES) to reclassify their relatively well-protected elephants from Appendix I (which allows no commercial export and applies to Asian and other African elephants) to Appendix II. South Africa gained a similar adjustment in 2000. On the political front, Zimbabwe's new president, Emmerson Mnangagwa, has appointed the country's former military commander as one of his two vice-presidents, state-run media has reported. The move deepens concerns about the military's influence after its ousting of Robert Mugabe last month. The appointment of Constantino Chiwenga was widely expected after his retirement earlier this month. He had to retire from the military to take up the position, according to the constitution. Mr Mnangagwa took power after Mr Chiwenga led a military takeover in the southern African nation that forced Mr Mugabe, then the world's oldest head of state at 93, to resign amid impeachment proceedings after 37 years in charge. And .. .. at Port Elizabeth, Test no. 2290 was to be a novel experiment. Yes, not the usual test, but a test match with duration of 4 days only .. far away from timeless tests to 6 day tests to tests with a rest day in between. This present Test match was meant to last four days. It didn't last too much longer than four sessions. In all, it lasted 907 balls, which made it the third-shortest Test match since World War II, not counting the contrived events of the Centurion Test in 2000. It was also the first two-day finish since 2005. Zimbabwe were the losing side then too, and they lost this one by an innings and 120 runs, as South Africa rolled them over for 68 and 121 in a combined 72.4 overs. Morne Morkel was South Africa's bowling hero in the first innings, picking up his seventh five-wicket haul in Test cricket and his first in five years. He was only needed for four overs after South Africa made Zimbabwe follow on. Keshav Maharaj didn't bowl at all in the first innings; he did the bulk of the wicket-taking in the second, finishing with figures of 5 for 59.